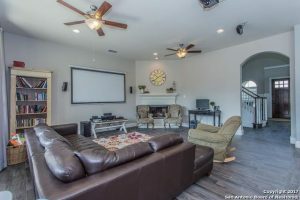 Gorgeous 5 bedroom 4.5 bath home located in Balcones Creek Subdivison ready for immediate move in. 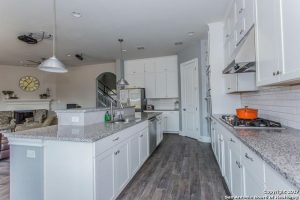 This property features an open floor plan, custom wood-like tile throughout the 1st floor with master and guest suite downstairs, 3 living areas, formal dining and eat-in area. 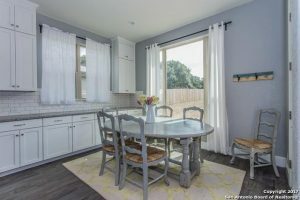 Gourmet kitchen over looks the family room and offers granite counter tops, gas cooking, stainless steel appliances and lots of storage. Home sits on a very large lot. This property is a must see! Boerne, is one of the most desirable areas in the entire San Antonio Texas region. With excellent schools and a close proximity to the city. it’s an oasis just inside of the city. Thank you for reading about 28906 Balcones Creek Boerne TX 78006.